Panic reigned supreme in the halls of Morocco’s government yesterday. All of the political forces of the kingdom were placed on high alert as news surfaced of a US proposal to expand the UN mission in the Western Sahara to include human rights monitoring in the region and the POISARIO-controlled Tindouf camps in Algeria. Leaders of major political parties and the Moroccan cabinet were summoned to an emergency meeting in the palace. The details of the high level meeting with the king are unknown, but there was a swift statement rejecting the U.S. proposal and a terse condemnation of alleged U.S. “bias and unilateral move.” Morocco even announced today the cancelation of annual joint military exercise with the U.S. This marks a departure from past measured and carefully crafted communiqués, especially dealing with the U.S. which has been a staunch ally and benefactor of Morocco. This proposal was, however, expected given the increased pressure and attention devoted to human rights in the Western Sahara, and the UN desire to have human rights monitored, in the words of UN Secretary General Ban Ki-Moon, by a “neutral party”. The shift in US position may also be a reflection of the change in the new leadership of the State Department. Secretary of State John Kerry is known for his close relationship with the Kennedys. Last August 2010, Kerry Kennedy, along with a delegation from the Robert F. Kennedy Center for Justice and Human Rights, visited the Western Sahara to assess the state of human rights. The delegation was accused of bias by Moroccan authorities, while the delegation accused Moroccan officials of hampering their movement in the city of La’ayoune. Recently, there has been a palpable pivot in the conflict away from self-determination towards human rights violations by both sides. Morocco has largely been portrayed as the culprit of abuses of individual and group liberties in the region and for good cause. Sahrawis remain limited in the ability to peacefully protest and are subject to police brutality, and extra-judicial proceedings. Last February, a military tribunal sentenced several civilian individuals involved in the Gdim Izik incidents of November 2010 to harsh prison terms ranging from 20 years to life in prison. Over the last several months, Morocco has been losing the battle for international public opinion. 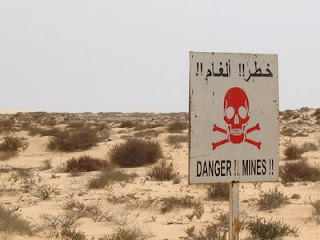 Several organizations have condemned Morocco’s treatment of civilians in the Western Sahara. Even A-list celebrities have joined in the pressure on the kingdom. Last month, Hollywood actor Javier Bardem came to the United States to publicize his new documentary feature film on the state of human rights violations in the Western Sahara. The visit also included a high level congressional screening of his “Sons of Clouds: The Last Colony” and a prime time interview with CNN’s Amanpour. Yesterday’s news and scurried Moroccan reaction underscores the failure of Morocco’s foreign policy establishment and its haphazard handling of the dossier of the Western Sahara. Despite the millions of dollars spent on public relations and lobbying, officials seemed to have been caught off guard with US plans. The shift in US position is also indicative of the new trend in US foreign policy in the aftermath of the so called “Arab Spring,” where the US pushes ever so sheepishly the cause of democratic liberal reforms in the region, albeit with the usual double-standard lens. Morocco will be better served to promote democratization in the disputed land, while still maintaining its historical claims to the Sahara. The two are not mutually exclusive. On the contrary, its heavy-handed strategy and repression in the region will only diminish the legitimacy of its ties to the people and territory of the Western Sahara. It is unclear if the US proposal will be adopted, since France is likely to veto it in the Security Council. Nonetheless, this is such an embarrassment to Morocco and its agents of diplomacy in the US and at the UN. It behooves the Moroccan authorities to reassess its policies in the Western Sahara, but most importantly, the handling of this contentious and stalemated conflict by its foreign policy makers. Le Maroc a fait bcp de progès dans les provinces du Sud; Ce qui est arrivé recemment est une tentative desesperée de la part de ses ennemis pour créer les problèmes encore et encore... comme d'habitude.